If you’ve ever had a look at our rather weighty website, you’ll know that the BGS is one of those organisations where it’s actually quite difficult to define what we do - because we do so much. Even the what-is-the-British-Geological-Survey? page takes a bit of thinking about and, believe you me, those words had a lot of thinking put into them. Trying to list everything we do would take me hours, so you’ll just have to trust me when I tell you that we are a very wide range of scientists, each with our own specialism and experience, all working to understand the Earth and its environmental processes. 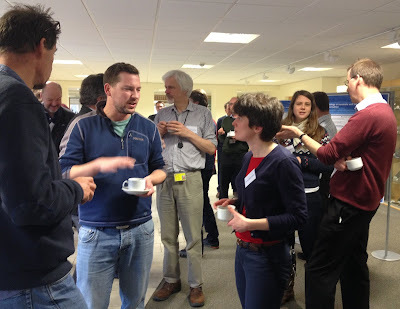 Which is why I was so surprised to find myself at a workshop last week whose aim was to discuss something that appears to link, pretty much, all areas of BGS: fractures. What are fractures and what’s so important about them? Everyone clear? They’re basically a break in the rock. They can be a fault (a fracture where one side has moved relative to the other) or a joint (a crack). Fractures are found everywhere in the Earth’s crust. The ground is full of them. They occur, but behave differently, in every lithology (type of geology). They can be tiny (less than a millimetre) or huge (kilometres). They can be filled with another material or can be a void. They can be lone beasts or part of a huge gang that pulverise the material through which they roam. They can also, as I learned at the workshop, seal themselves shut again so you’d never know they were even there in the first place. Sneaky. Fractures control permeability (the geology’s ability to transmit fluid/gas through it). Fractures can affect an otherwise completely solid and seemingly impenetrable rock so water runs through it like a sponge. Not only can fractures control the amount of fluid/gas that can pass through, but also their direction – an important thing to know about when it comes to groundwater science, oil and gas exploration, CO2 storage, shale gas, geothermal energy, underground gas storage and other buried objects that must not leak or corrode such as radioactive waste. Nearer the surface, fractures exert their influence on hazards such as landslides and sinkholes and can be responsible for the way in which the landscape has developed in the first place. Understanding and locating fractures is also vital when it comes to some engineering projects such as tunnels. If you get this wrong, the tunnel may collapse, and the consequences could be extremely high. Which is exactly what happened at one case study described at the workshop – this is such an interesting case that I am going to write this up as a separate blog post, so watch this space! 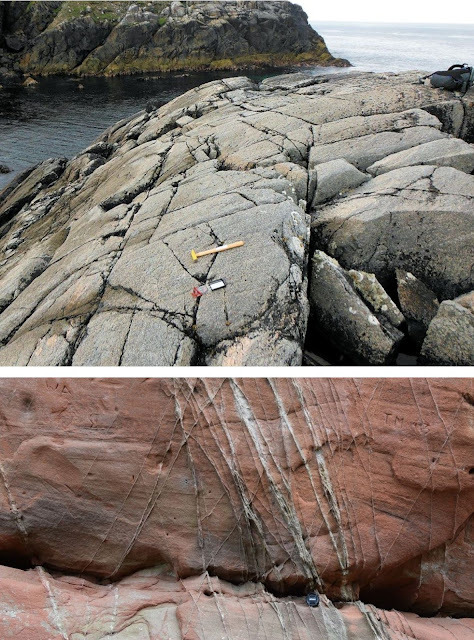 Geoscientists at BGS have recognised the importance of being able describe and classify fractures and other discontinuities and a report was published in 2011 detailing exactly how to do it. Incidentally, this is a really great report with an hierarchical classification scheme and a brilliant glossary at the back so even a numpty non-fracture-specialist like me could take it in the field and make a proper description of what is in front of me. So with the report and all the geological mapping we have done over the last 183 years, we must have a detailed national fractures map with every fracture and joint set located and interpreted, right…? Fractures and fracture networks are so complex and variable that this is a really tough and massive job, particularly because fracture data haven’t been recorded systematically as part of our historic national mapping programme. To further muddy the water, the way we think about, collect and interpret fracture data is often dependent on why we're doing it and who we're doing it for. Fractures can be studied using different techniques. Mapping what is visible at outcrop seems the obvious place to start, but it turns out that what is seen at the surface is not necessarily what is happening at greater depths or even laterally. There are other resources we could use e.g. aerial photographs, aerial and terrestrial LiDAR, satellite imagery, geophysics, hydrogeological assessments, seismic techniques e.t.c. but all these methods have their biases and spatial limitations. Data may also come from boreholes, mines, caves and tunnels, but these too are subject to limited interpretation depending on the quality and quantity of data available. So we’re in a bit of a pickle. We need to know more about where fractures are and how they behave; we need to consider the range of scales and crustal depths at which they occur so as to satisfy the varied requirements of our work at BGS. We have a number of staff with experience in observing, simulating, analysing and modelling fractures and fracture networks on different rocks for different purposes. We have a huge resource full of core and borehole logs as well as the National Geotechnical Properties Database. Representing all this as at the national scale is not impossible, but it wouldn’t be easy and would require considerable resources. There are many questions that need to be asked and considered. So what next? 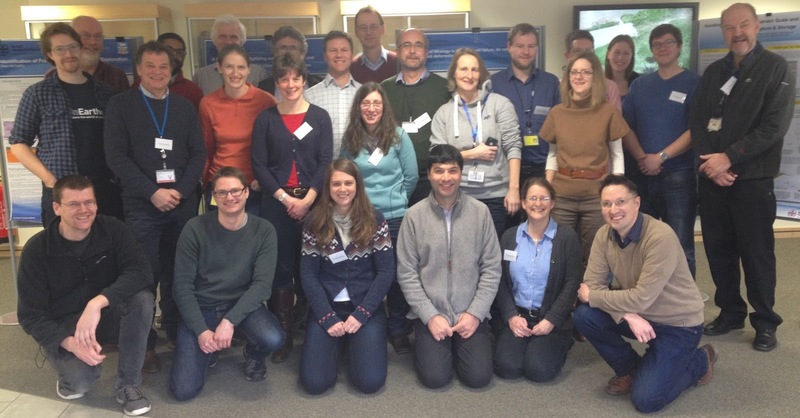 The workshop provided an opportunity for geoscientists to come together to present and discuss their latest research as well as to share some more historic experience. It was agreed that the next task is to reconvene to analyse some core and visit some field sites to continue to share and nurture the practical skills we might need in the future using the diverse resources and knowledge we have. For more information, please contact Richard Haslam, Maarten Krabbendam or Dee Flight. Full credit is given to Vanessa Banks who coined the term ‘Fracture Capture’. Genius.